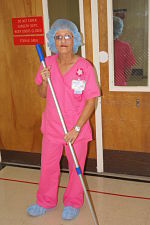 Housekeeping is responsible for maintaining 84,000 square feet which includes 49 active patient beds that receive daily attention. 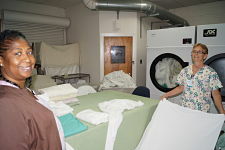 Laundry is responsible for linen pickup, wash, dry, fold and deliver on average of 1200 pounds of linen per day. Maintenance is responsible for maintaining 165,000 square feet of property to include the Hospital, Brewton Medical Center, Flomaton Medical Center and several doctors' offices. 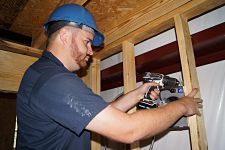 The areas maintained consist of air conditioning, heating, plumbing, electrical and general maintenance.